Scene from 'Battle of the rails'. 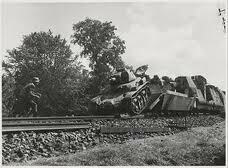 Scenew from Battle of the Rails was made ot long after the deat of Germany. 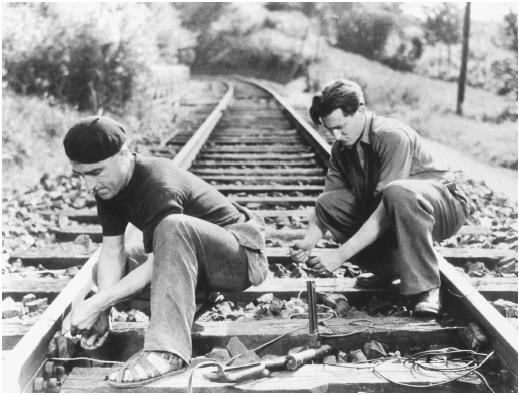 It is the first French movie about the Resistance, although Clément's primary concern in the first half of the film is to show how French railway workers sabotaged the Nazi war effort. This episodic part of the film shows vignettes of such efforts: from re-scheduling and altering signals to destroying rails and attacking trains. 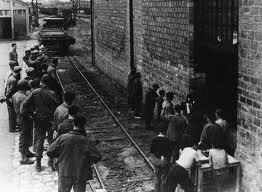 In the film's second half the focus shifts to the Resistance's attempts to delay German troop reinforcements being sent by rail to the Normandy front during the D-Day landings. 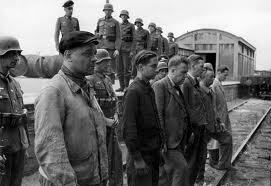 He shot the film in a documentary style, using actual railway workers and some former members of the Resistance. This method provides an interesting parallel with the contemporaneous Italian neo-realist movement associated with de Sica and Rossellini. Clément's take on the French response to the German occupation is highly significant. His ordinary French citizens working together against the Nazi occupiers represent France as a whole: brave, steadfast, united in the struggle against Germany. The resistance movement is shown as receiving the whole-hearted support of the local populations.The often bitter political and tactical divisions within the Resistance are never mentioned. Nor is there any focus on the widespread and willing collaboration that we now know was an essential feature of the Occupation. For almost three decades these features remained typical of most attitudes towards the Occupation. Clément's film illustrates this aspect yet at the same time it highlights some of the attempts to resist Nazi rule and ideology in France. For almost a quarter of a century after the end of the war, French film-makers made few films about the Occupation and the Resistance. It may well be that a national sense of guilt over the tacit and often overt support for the Occupation regimes and polices such as deportation of French Jews and others to their deaths in Germany was behind this reluctance to examine resistance and collaboration. René Clément was still an architectural student when he made his his first movie, an animated short. He then worked with Jacques Tati on a short, and spent some time in the late 1930s making documentaries in Arabia and Africa, managing to avoid a death sentence in the Yemen. AFter the war he worked with Cocteau on the latter's Beauty and the Beast (1945). Clément then made Battle of the Rails, his first feature film. This was warmly received. 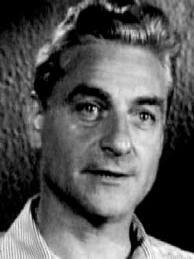 He then made (or acted as technical adviser to the film's famous comic star Noel-Noel) Le Pere Tranquille / The Quiet Father, a light comedy about how an apparently quiet, ordinary man outwits the Gestapo. For some years the high quality of the film that the director made meant that Clément was regarded as the leading French director, and one of the world's best. He won two Oscars and several French and European prizes. But the arrival of the New Wave in the 1960s and new critical attitudes to wards cinema meant that his work was increasingly dismissed bas old-fashioned and irrelevant. He is now almost forgotten.This neglect of his work is unfortunate, because he was a superb craftsman who married with emotion. Forbidden Games, for example remains the finest cinematic examination of the effects of war on the young. However, the extent of his cinematic range, from fine thrillers like Purple Noon to war films and meticulous examinations of social values in dramas like Gervaise, made him a director who defied easy definition. Clément's pervasive detached and patient style also failed to suit the mood of the frenetic sixties and seventies cinema. 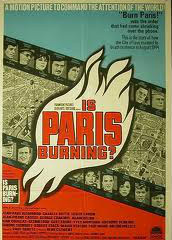 The critical and boxoffice failure of the blaockbuster Is Paris Burning?, (1966) an enormously expensive international production laden with stars appearing for a few minutes in cameos, seemed to confirm Clément's fall from cinematic prestige. But he was still capable of making offbeat, tense movies such as 1970's Rider on the Rain with the intriguing casting of Charles Bronson and 1971's La Maison Sous Les Arbres, an unusual psychological-spy thriller. After 1975 Clément made no more films. 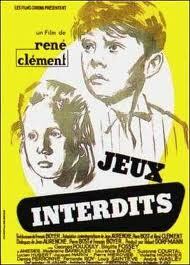 'Forbidden Games' is probably Clément's most famous film. A moving study of the impact of war on children. 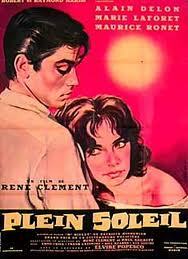 'Purple Sun' shows how Clément could make literate and entertaining thrillers.